The New Mexico Direct Caregivers Coalition (NMDCC) was created to enhance and promote family and professional direct care workers, supporting their professional development and advancing issues of importance to the field of long-term and direct care. We provide training, career development and advocacy for NM's family and professional caregivers. Search for Home Care by Zip and other resources. The ConsumerAffairs Assisted Living Guide includes expert information and verified consumer reviews on senior living facilities. It also offers advice on what qualities to consider when choosing a senior living facility such as amenities, onsite offerings, and staff qualifications. Search New Mexico Assisted Living Communities by Zip and other resources. Search for Adult Day Care by Zip Code and other resources. This interactive, safe space offers a number of opportunities for individuals, family members and caregivers to ask questions, share their experiences, and connect with those who understand the impact of paralysis. Reeve Connect has five categories that are moderated by fellow community members and experts who are eager to engage and offer support. Reeve Connect Categories: Newly Paralyzed, New Normal, Health & Wellness, Relationships, What Works. Operation Family Caregiver provides free and confidential support to the families of those who have served our nation. We help the families of returning service members and veterans adjust to the "new normal" by coping more effectively with problems they never imagined. Our specially trained coaches help military families learn how to overcome the obstacles they face and to manage any challenges that might come along. National Alliance for Direct Support Professionals is a coalition of organizations and individuals committed to strengthening the quality of human service support by strengthening the direct support workforce. The group has representatives from the fields of mental health, developmental disabilities, child welfare, education, and many others in the human services community. A secure online service for quality information, support, and resources for family caregivers of adults with chronic physical or cognitive conditions such as Alzheimer’s, stroke, Parkinson’s, and other illnesses. College of Direct Support is a learning gateway for Direct Support Professionals. By incorporating web-based learning, backed by nationally recognized curricula, the College is designed to promote a profession of direct support. Training programs are provided for Direct Support Professionals and to supervisors and managers. Search For A Local Training Program. Land a caregiver job with behind-the-scenes tips from industry experts! Caring.com is a leading online destination for caregivers seeking information and support as they care for aging parents, spouses, and other loved ones. They offer thousands of original articles, helpful tools, advice from more than 50 leading experts, a community of caregivers, and a comprehensive directory of caregiving services. National Alliance for Caregiving is dedicated to providing support to family caregivers and the professionals who help them and to increasing public awareness of issues facing family caregivers. Resources to help you make your support meetings effective and meaningful, including a 12-month curriculum and material you can use. Can’t get out to get training and support? Try Caregiver SOS. National Caregivers Library consists of hundreds of articles, forms, checklists and links to to pic-specific external resources. The library is organized into the eighteen Caregivers Resources categories. National Family Caregivers Association educates, supports, empowers and speaks up for the more than 50 million Americans who care for loved ones with a chronic illness or disability or the frailties of old age. NFCA reaches across the boundaries of diagnoses, relationships and life stages to help transform family caregivers’ lives by removing barriers to health and well being. A website for, about and by Caregivers. The Caregiver Teleconnection is a free, bilingual, and confidential program that connects caregivers and family members to information and support through the telephone or “tele-learning”. The Caregiver Teleconnection provides learning sessions on a variety of useful topics, hosted over the phone by professional facilitators and experts. Family caregivers have the opportunity to connect and share with others in their situation during the sessions. Navigating the World of Caregiving is an interactive tool developed by AARP for family and professional caregivers. Katie Stone, Executive Director at the New Mexico Autism Society, worked on creating “Autism ID” with the NM Center for Development and Disability. You can download the form and create an “ID” for yourself or someone in your family who has autism. This could be useful for air travel security, for interactions with police, security, emergency or health professionals. Looking for one place to find Senior resources in New Mexico? Are you looking for an Assisted Living, or a Nursing Home in Albuquerque? Need to find Home Care? Find a caregiver in NM or be listed as a caregiver so potential clients can find you. The New Mexico Community Health Workers Association endeavors to nurture the community health worker model to collectively improve access and quality of health care for New Mexicans by advocating for and empowering its members. The National Long-Term Care Ombudsman Resource Center provides support, technical assistance and training to the 53 State Long-Term Care Ombudsman Programs and their statewide networks of almost 600 regional (local) programs. Just beginning to think about long-term care? Start here; it’s more than just insurance. From the U.S. Department of Health and Human Services Administration on Agency. The Paraprofessional Healthcare Institute works to improve the lives of people who need home or residential care–by improving the lives of the workers who provide that care. Putting Your Paycheck to Work The Federal Reserve Bank of Kansas City has educational tools available to help caregivers better understand their paychecks. Putting Your Paycheck to Work includes online resources free for anyone to view or download. Resources include tips for caregiver employees on how to better understand and manage your paycheck, understanding your paystub, establishing direct deposit and accessing work supports such as the Earned Income Tax Credit. Employers of caregivers–especially HR professionals–can use these materials too, helping employees better understand wages, deductions and workplace benefits. 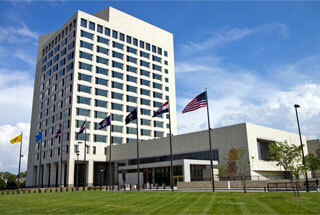 So take a look at Putting Your Paycheck to Work, available from the Federal Reserve Bank of Kansas City.